One morning the school bus came and I had to leave the novel I was trying to write. Kids-as-detective books were popular then, and I wanted to write one of my own. My memory places me at about 10 or 11 based on the house I lived in. Encyclopedia Brown and The Hardy Boys were characters I wanted to emulate. Thanks to my mom's manual typewriter, I even had access to technology, if not follow-through. Why did I stop? No idea. On to something else? Boys do that with ease. Life gets in the way even in the elementary years. Later attempts at writing come and go. A pattern emerges: high school newspaper - give up when I cannot connect with the baseball coach I am supposed to interview. College newspaper - a guy's gotta make time for the CPA exam somehow. Trade association newsletters, this blog, that blog. Then my boss needed a website. Earlier this year, I went to a seminar on growing your business through social media. My passion for writing jumped to the front of the line once again. Now re-committed, I stalked the library for books about being a better writer. 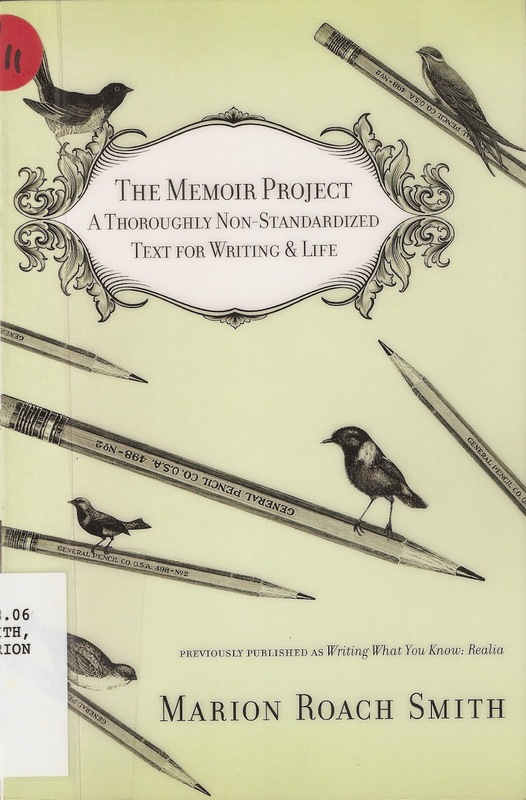 When The Memoir Project by Marion Roach Smith told me to throw out my writing exercises (and the other library books I got) and instead start writing with intent. Now we are finally getting somewhere. It is about memoir writing, and blogging is a form of memoir. Writing something that makes them sound admirable, writers can come off sounding like the worst kind of self serving schmucks. The best example of this is a parenting column from someone who is always right. I hate those and wonder why anyone would chose to write from the point of view of knowing all the right things to do with children, when the far more interesting (as well as far more true) vantage point is that of fumbling through the day while living under the bruising scrutiny of a three year old. There are many adages about writing, though one that's particularly helpful is to write what scares you. We're all scared of being wrong. I am, every day, as a parent. And I'm glad, since I've never learned anything by being right. This is about appreciating the here and now, illustrated by my adventures, misadventures, and lessons learned as a husband, homeschooling dad, and CPA. Now I know how to structure my blog and how to market it. I am so grateful for finding this at the library that I bought my own copy. If you are an aspiring writer, you may want to do the same. Thanks for the tip, Jeff. This looks very interesting. I'll have to get a copy. Good for you for not giving up on writing. It is in all of us. It's just so hard to,as you say, be yourself in doing so. Keep writing! Thank you! Being yourself is one thing, writing about it is another challenge. Since we have the book on our Nook, you may read it anytime. Wow, that sounds like a great book, I'll have to look for it myself. Thanks for sharing your thoughts on it. I'm always struggling with how I want my blog to come across to. Oh, and I never got back to you on the blogroll question, sorry. My main blog is http://wgcreates.com/josjourney , my creative blog is http://wgcreates.com/joscreativity . Thanks JoAnn! Also, I added your main blog to my list.